What makes a Russian (or Chinese) middle-class? The discreet charm of the late-Soviet petite bourgeoisie, or rather the ‘protected’ technical managerial class, as seen in the film ‘Moscow Does Not Believe in Tears’. This autumn I was asked by colleagues to discuss a panel of papers on Class formation in Russia at the BASEES Uppsala conference, Regimes and Societies in Conflict: Eastern Europe and Russia since 1956. The three papers were Markku Kivinen, ‘Specificities of Middle-class Structuration in Russia’; Mikhail Chernysh, ‘The structure of the Russian middle class’, and Harri Melin, ‘Working life and the myth of precariat in Russia’. All the papers are part of a book project. I’ll try to summarise them in turn, starting with Markku Kivinen. Kivinen sees a lack of clearly identifiable class interests in Russia, and therefore a commensurate lack of class-based action or agency. Interestingly, he takes his discussion back to the very idea of what we mean when we talk about a ‘bourgeoisie’: “After more than 60 years, entrepreneurial groups have been revived with the process of privatization. 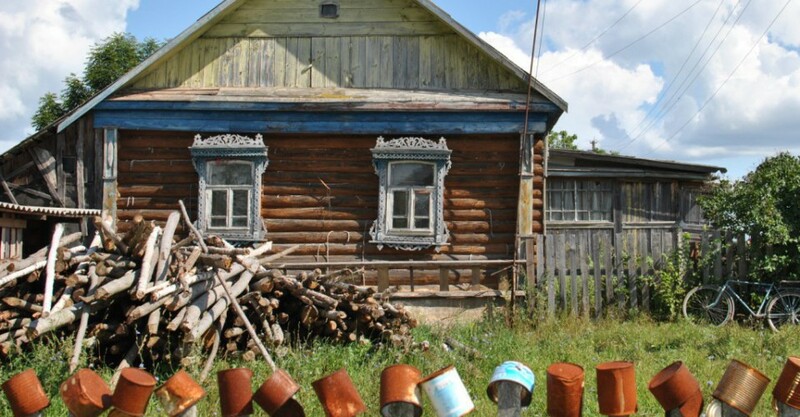 The discussion here focuses on the middle class which in the West is traditionally known as the new middle class (managerial and profes­sio­nal groups), but which in Russia is ‘old’ in the sense that it has inherited its locations from the Soviet era”, writes Kivinen. Suspicious of bare structural accounts, Kivinen argues for class ‘situation’ as well as ‘structure’. This entails some kind of shared rationality or consciousness. From here Kivinen observes that in Russia there is still only a small middle-class in terms of professional wage earners and that corresponding professional organisations are weak. So for him such a class lacks the ‘autonomy’ of a middle class in the West. Kivinen hypothesises that micro politics of labour control have grown during transition. Given that in the past the ‘inheritance’ of economic resources was insignificant (i.e. even among the elite there was an unwritten rule about limiting the ‘leg up’ effect, and the material intergenerational transmission of resources was not widespread), today, in contrast to economic differences, cultural distinctions of class probably remain important. Here I’m not sure I completely agree with Kivinen. Part of the ideological breakdown of consensus in the late Soviet period entailed the scramble for position, and the re-writing of those rules to enable the more savvy, including lower level insiders, to position themselves and their kids. To give an example, a 40-year-old Muscovite woman I know has never required a waged income because her parents (1980s Komsomol functionaries) were able to leverage Soviet structural position (partiinye posty) into post-Soviet position (state-org functionaries), then use the access to those state resources to accumulate capital (a private business run through the ‘front’ of a state job and resources) and then in turn into property assets. Now this family has a modest portfolio of flats rented out, allowing a significant consumption lifestyle without requiring anyone in the family to have a meaningful wage income. However, culturally, I don’t see any particular difference between this family and their working-poor neighbours. Both aspired to own a Mitsubishi Lancer and some questionable American kitchen interior design in the late naughties, and that was about it. The working-poor had to get credit for it. The ex-Komsomol bought for cash. Combining class analysis with the sociology of work, Kivinen proposes a relationship between professional autonomy and mental labour in defining middle-classness. This is in distinction to his view of working-classes who are always alienated due to a lack of autonomy (control over processes and planning). Then Kivinen engages with Gil Eyal, Ivan Szelenyi and Eleanor Townsley, particularly on the different forms of capitalism that emerged in Eastern Europe (more cautious diffused institutional capitalism without ‘capitalists’), versus Russian nomenklatura take-over of resources (capitalists without capitalism – see my ‘petty bourgeoisie’ example above), and ‘entrepreneurial’ capitalism from below in China. Based on survey data, Kivinen concludes that there has been a major expansion in absolute terms of the middle class (from less than 40 percent in 1998 to now over 50 percent). From the data presented in the paper, it’s not clear what definition is being used of entry to the middle class (I am sure in the book it will be well covered). Interestingly, one aspect Kivinen links to this rise is the continuing propensity of all Russians to change their jobs frequently, known as ‘churn’, and something I’ve written about. Likewise, I’ve written a lot about autonomy among working-class people. (See the discussion from p. 72 in particular). The desire for autonomy cuts across classes, and niches are carved out in the most unlikely places. Overall, my gut response is that a ‘counting’ approach to class remains problematic and perhaps even counter-productive (excuse pun). I’m sure Kivinen’s figures are robust, but how meaningful is it to say 50% of Russians are middle-class when certainly average disposable incomes, however counted, are tiny in comparison even to other middle-income countries? We will see this criticism repeated in my reading of the other papers. But here I’ll end with a heuristic example: The average wage in Russia is, after tax, around 34,000 Roubles. That’s barely 500 USD. The same article linked to here is a good treatment, acknowledging that in Moscow the average wage probably is around 500 USD (but anyone aspiring to have any quality of life there on that wage would be extremely depressed by reality). In addition, the article notes that wages have fallen in real terms for the last 10 years! Outside the big cities (only 30 million inhabitants out of 145m) the ‘real’ average is likely to be around only 20,000 Roubles elsewhere. See here for a similar enumeration. This all chimes exactly with my ‘anecdotal’ research experience – most of my research participants struggle to make more than 20,000 Roubles. And remember this is among economically active people (less than 50% of the population) with full-time wages (a much smaller fraction). Yes, a household on two average (20k) incomes, with no housing costs, can live better than the urban poor and pensioners, but that’s less than 50% of the population. The 34k income bracket is, for want of a better phrase, ‘upper-middle class’, or ‘affluent’ and seen as anomalous by most of those I research. More importantly, even this putative middle group is going to severely struggle with unexpected bills, even running an old Russian car will be a stretch. Frequently they will resort to pay-day loans (there’s plenty of evidence of this in my research). Cognitively, they will not be inhabiting the mindset of any middle-class you can imagine. And that’s different from aspiring to own a jeep, go to Cyprus, or own a second home. An instructive comparison can be made with the ‘struggling middle’ in China at the moment (urban dwellers with middle-class aspirations) who on average earn around the same as the real average in Russia ( 3,000 yuan, or 480 USD a month). However, unlike in Russia, meaningful consumption is possible on this income (discretionary spending), including on taxi rides to work, investment in stocks, luxury imports (gourmet cat food!). And to finish with a thought about autonomy. James Scott, interestingly, also links middle-classness (or rather the classical petite bourgeoisie subsection of it) to autonomy in his book Two Cheers for Anarchism: Six Easy Pieces on Autonomy, Dignity, and Meaningful Work and Play. Like my former Komsomol leaders, many people in history have aspired to become small property owners due to the perception that this confers autonomy (and social standing). Scott argues that the petite bourgeoisie play a role in the development of a modern capitalism that is socially tolerable in that important social and civil functions are delegated to them (land stewardship, public safety, public action). On the other hand a more conventional leftist tradition would see in ‘middle-classness’ only the reactionary, whether cultural or social. One can see the short distance from here to the debates about civil society in Russia. However, so far I remain to be convinced both in economic and social terms about the meaningfulness of talking about a Russian middle-class. This entry was posted in class, Russia and tagged autonomy, China, consumption, Kivinen, middle-class, petite bourgeoisie, Russia, Scott, status on 07/11/2018 by Jeremy Morris.